Published Fridays by The Gazette Inc., Dexter Maine 04930. Delivered FREE each week by U.S. 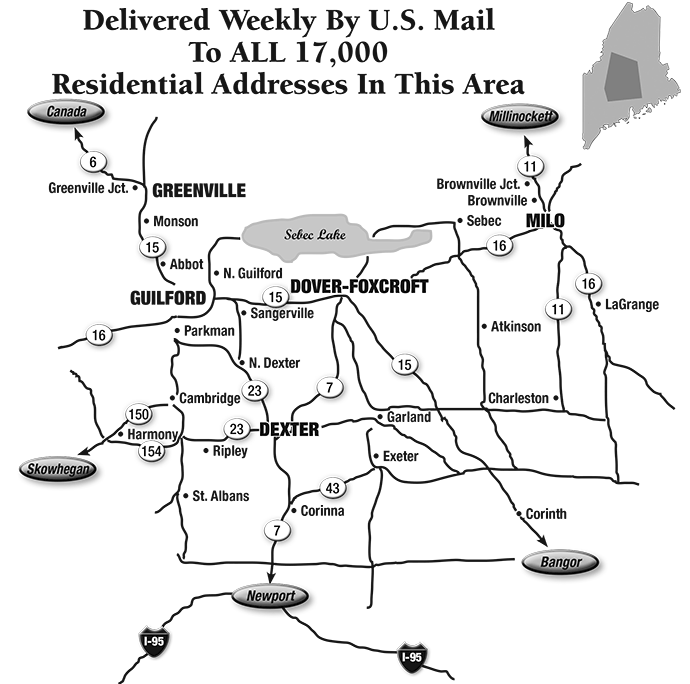 Postal Standard Class Mail to all 17,000 residential addresses.Printed at Alliance Press, Brunswick Maine. © 2019 The Gazette Inc.